Why Search Terms Report is a great resource? Posted 9:57 am by Shashikant & filed under Bing Ads, Negative Keywords. In an insightful article on Search Engine Land, Christi Olson writes about importance of search terms report in Bing Ads. Posted 3:48 pm by Shashikant & filed under AdWords Tips, Negative Keywords, Product Updates. Are Expanded Text Ads Eating SEO Traffic? 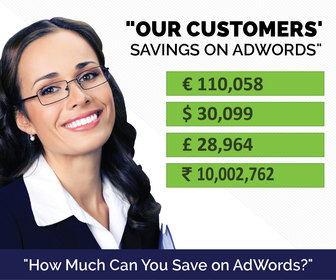 Posted 6:38 pm by Shashikant & filed under AdWords Tips, Expanded Text Ads.